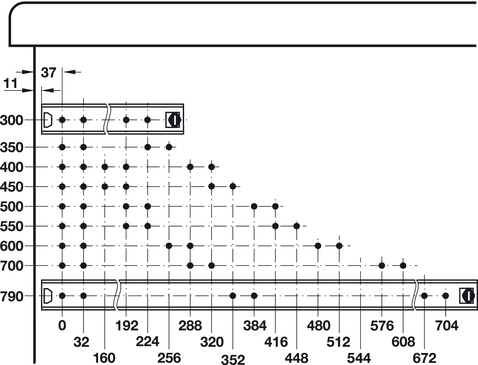 The type of runner is determined by the design of the running elements, independently of the mounting method. Plastic rails act as gliding surfaces that support the weight of drawers and their contents. The running elements are rollers. The type of roller varies from friction bearing mounted polyamide rollers to ball bearing mounted polyamide rollers, ball bearing mounted polyamide-coated steel rollers and silent moving rollers. 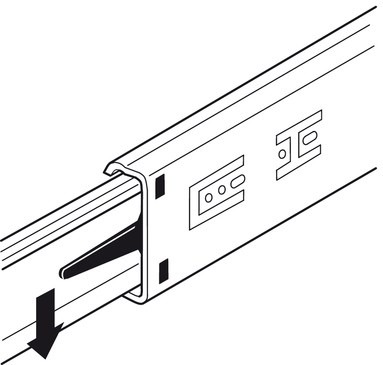 The runners are recessed into a groove that is milled into the drawer side or side panel. 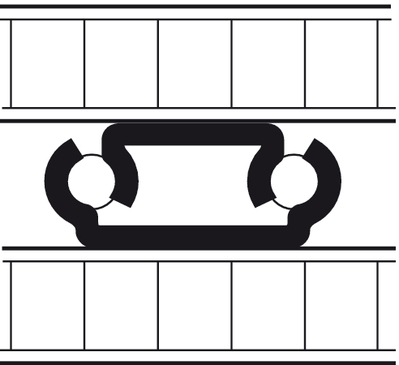 Rollers are running elements in running gears. 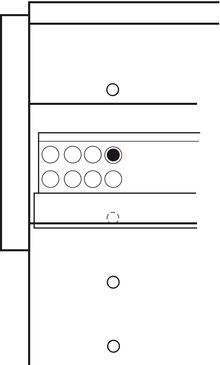 The drawer front panel is flush or set back from the cabinet side panel. The front panel of the drawer is overlay mounted to the cabinet side panel. 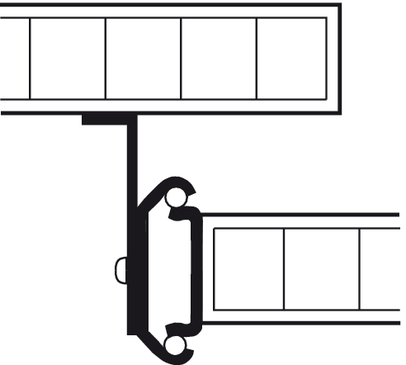 The load bearing capacity values for Accuride runners apply to a rail length of 450 mm and an extension width of 450 mm. 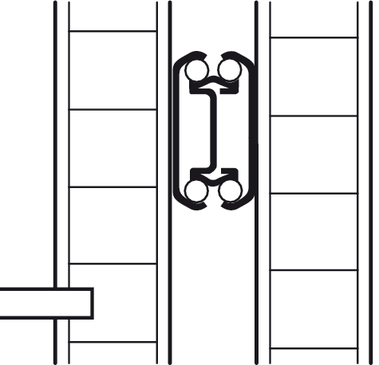 Unless otherwise specified, the load bearing capacity of longer rails is about 20 % less. 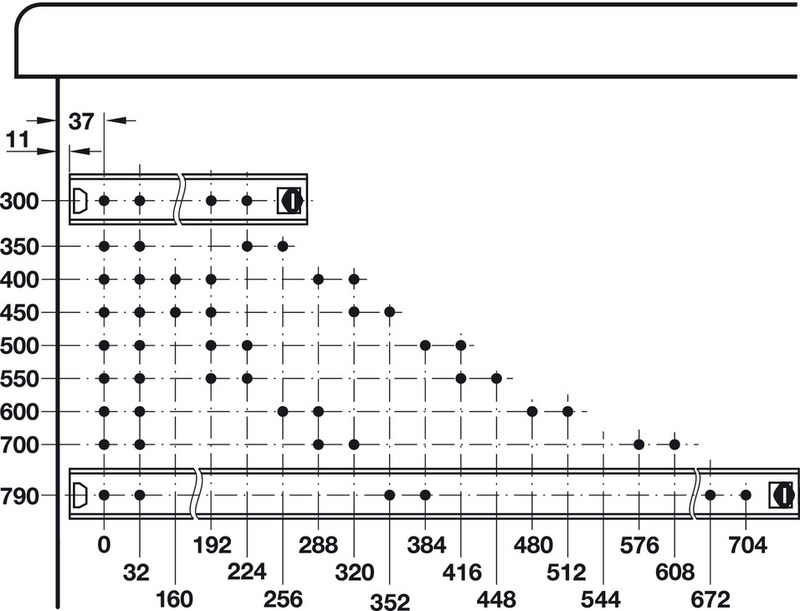 Something that all of the information has in common is the fact that the values for dynamic loading apply, and only if all indicated fixing holes are screw-connected using suitable fastening material. 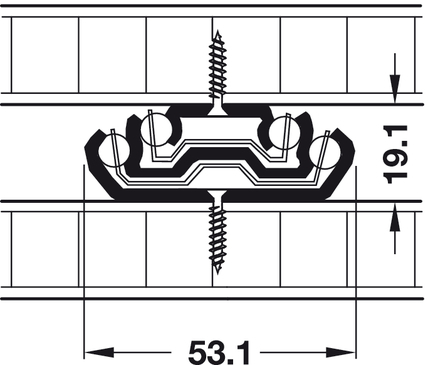 The load bearing capacity of ball bearing runners that are suitable for side and surface mounting is reduced to about 25% if the ball bearing runners are installed horizontally. We recommend trial mounting to determine if lowering lies within an acceptable range. 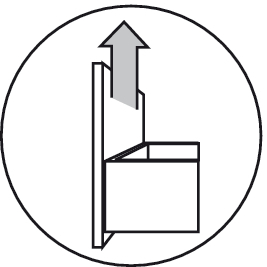 The self closing and the stay closed feature of roller runners use a slope in the guide profile that runs toward the last part of the push-in distance of the drawers and gently holds them in the closed position. With ball bearing runners a plastic buffer acts as a hold-in device. 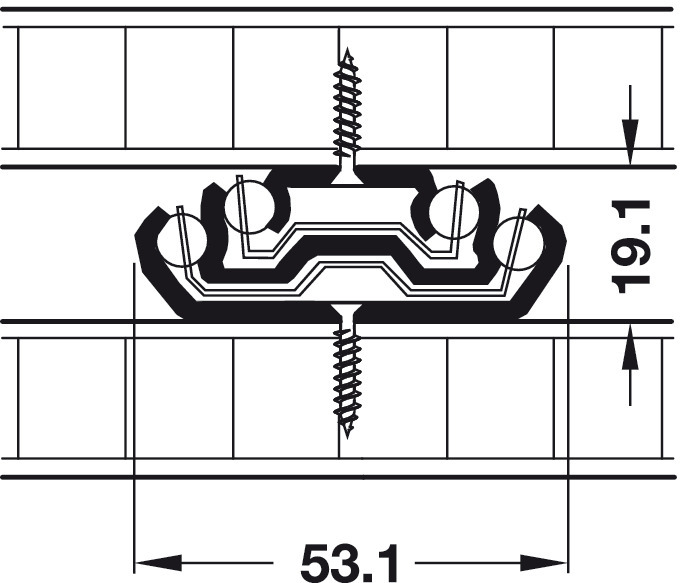 The guide profile is slid over it and therefore clamped; the hold-out device works using the same method. 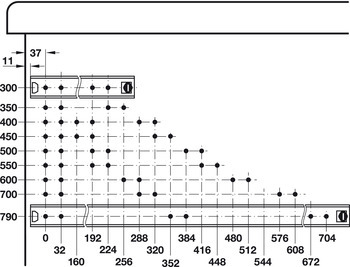 With other runners, deformation of the guide profile gently holds the rollers or the ball cages. Many ball bearing runners have an active locking mechanism in the extended and pushed-in position; that is operated using a lever. 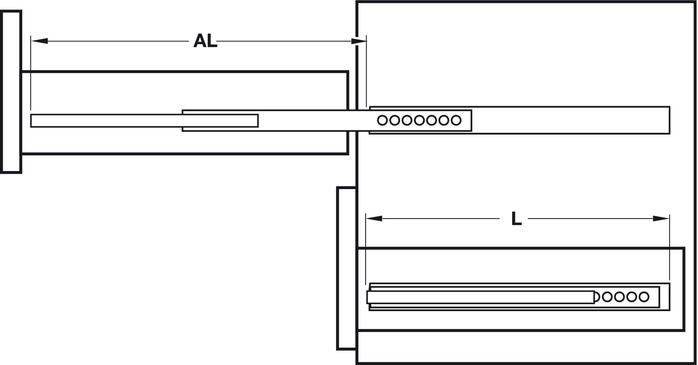 The self closing mechanism of ball bearing and concealed runners is an active spring element that pulls the drawer shut when it reaches the latter part of the closing distance. Pneumatic or oil pressure dampers provide gentle closing by preventing the drawer front panel from slamming against the cabinet. 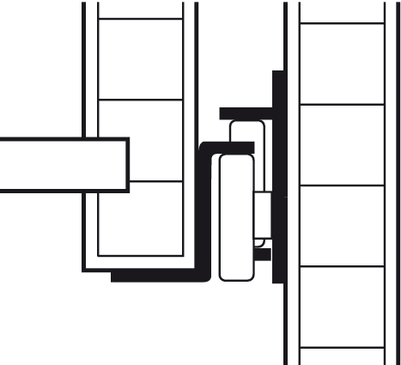 Soft and controlled closing mechanisms for supplementing roller, concealed and pull out cabinet runners are also separately available. Extension mechanism supplementary to concealed runners: Gentle pressure against the handle-free front panel opens the drawer automatically. 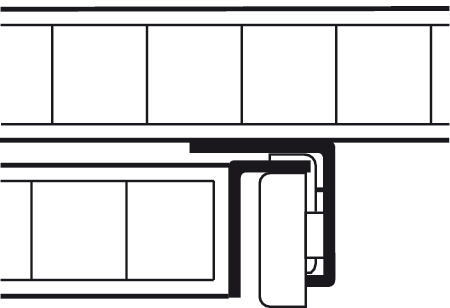 Two-way travel drawer runners that are extendable from both sides are used on counters or partition walls – wherever two-sided access to the contents is required. 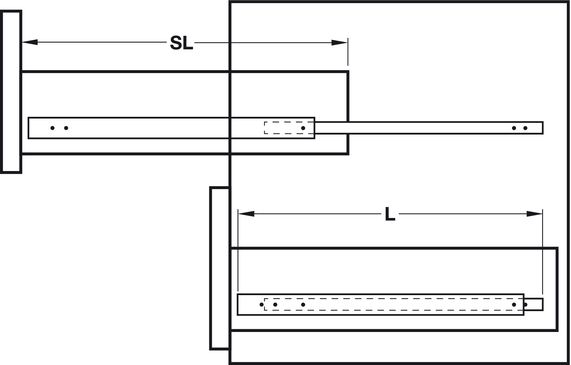 Some roller runners are supplied with an integrated progressive effect. Simultaneous runner movement evenly distributes the load and prevents possible jamming with wide drawers. Several drawer runners are also available in stainless steel. 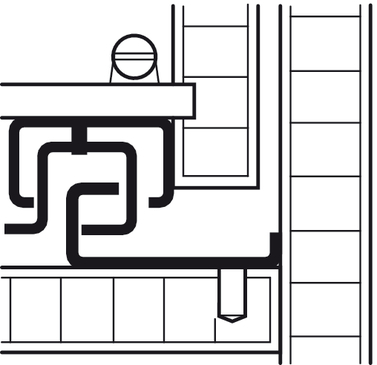 These are ideal for use in wet areas and areas in which food or chemicals are being processed. 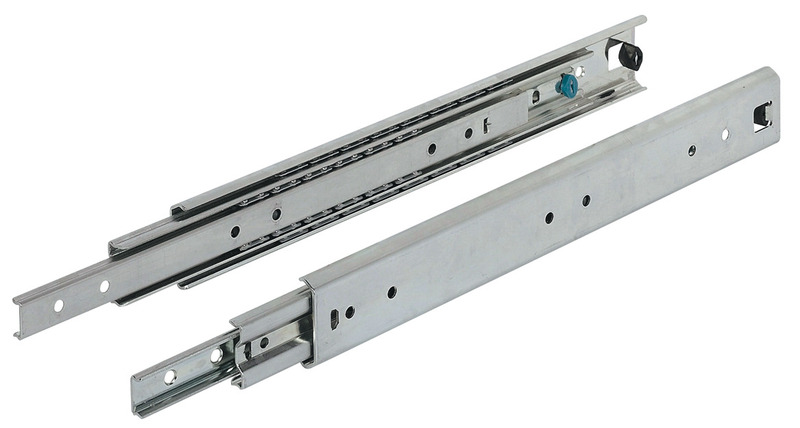 Aluminium ball bearing runners are ideal for significantly reducing the weight of the drawers. 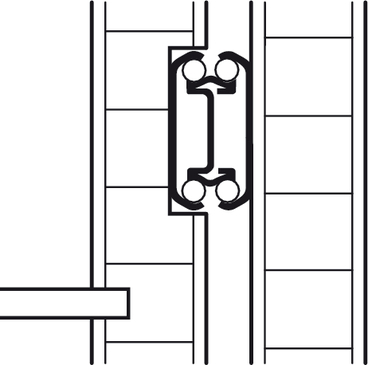 With some drawer runners the guide profiles can be separated – either by means of the structural design of the runners or using a release lever. Separating the cabinet rail from the drawer rail makes installation considerably easier and allows the drawers to be removed for all kinds of purposes. With some runners the drawers are suspended from (with ball bearing runners) or placed onto (with concealed runners) the runners at special holders. 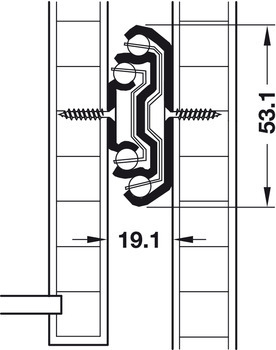 The concealed runners are equipped with pins for this purpose. Other concealed runners are equipped with mounting clips that secure the drawer to the runners. The drawer can be removed by releasing the mounting clips. 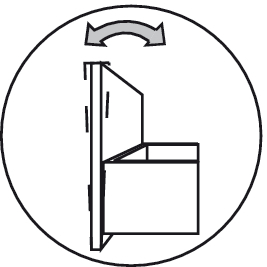 Remove by operating the release lever in the drawer rail. 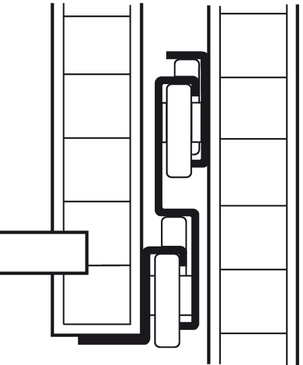 Some concealed runners and ball bearing runners have height and tilting angle adjusting facilities that allow the front panel to be aligned after installation. 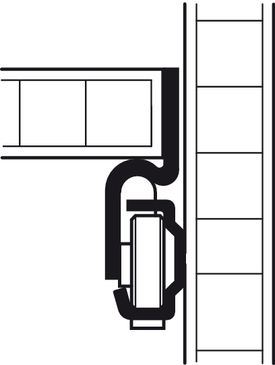 Concealed runners also have a side adjusting facility (depending on the model). 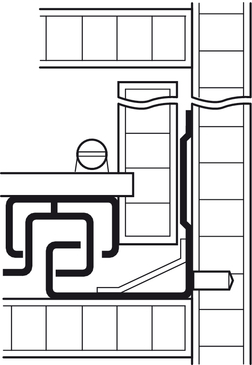 Sliding and pull out cabinet runners are particularly suitable for narrow (max. 600 mm per runner) and high (max. 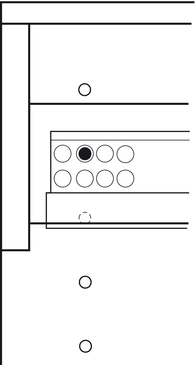 2,500 mm) cabinets – depending on the runners that are used. These runners are bottom running and are additionally guided at the top. This makes them therefore extremely suitable for narrow, angled installation situations, e.g. 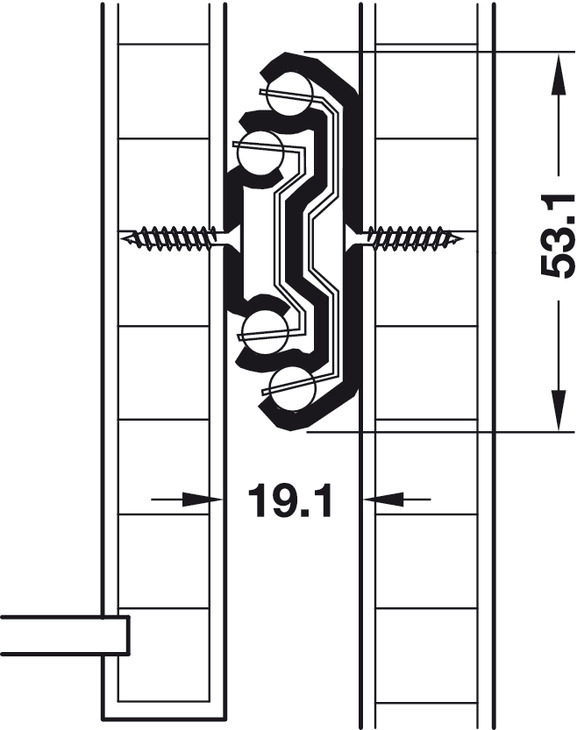 beneath sloping ceilings or stairs. 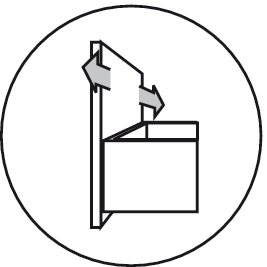 Cabinets must be secured to prevent toppling. Rail elements and ball cages are made from stainless steel 1.4301 and are anti-magnetic. Magnetizability can occur slightly with certain applications. Balls are made from stainless steel 1.4034 for hardness reasons and are magnetic.